Many new blogger,s fail to earn money online due to many reasons. its a big fact that 80% of bloggers are not earn money, today i tell you how to Boost you online earnings. 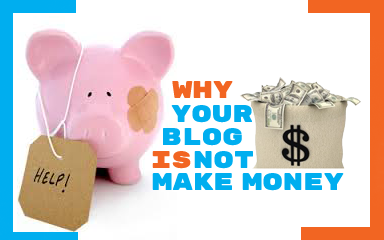 i tell you some reasons below why your blog is not make money. How To Make Money Online ...:::: Earn Methods ::::... 1: many bloggers don,t publish original and quality content, and they did not write articles regularly. and don,t copy other people's content. 2: if you blog content not useful to readers, users not like to visit your blog, otherwise if user like your posts, then you will get many readers, and people also Bookmark your blog to social media. then your blog traffic are good and you make money. 3: users reject if your blog are not looking good. and you don't use good color and your template are painful to user eye. so you make your blogs best and interesting for your blog,s readers, you add some beautiful images with some good articles details. 4: to make money for your blog, you use companies ads like "Google Ad-Sense" and "Infolinks" and etc. on your blog, but you don't earn money for using these company ads without improve your blog user, people can see and click on the ads and you earn money, pay per click and impression on your blog. so just increase your blog traffic and make your blog best for users. 5: some blogger,s choose wrong company for advertising network these company are fake or some network's never pay your earning. so just avoid these company's.